Eloise Cates is a woman from Vermont that has lived a life full of pain & suffering. She’s grown up feeling unloved and unwanted. Her spirit is broken, & lately, she just feels tired and alone. All she has in this life is herself. She’s on her own & doesn’t need anyone. She’s learned over time she can’t trust men. She keeps up her steely facade, & the walls around her heart so she won’t ever be hurt again. Gabriel Dalton is a man with a dark past he’s trying to move on from. He considers himself a work in progress, & chooses happiness. He’s at a place in his life where he wants to step out of his comfort zone & put himself out there. He meets a beautiful woman with a haunted look in her eyes. She’s a mystery, but he feels a strong pull towards her. He wants to get to know her & never wavers in his pursuit of her. Ellie locks eyes with a beautiful, kind looking man named Gabriel, & the connection she feels frightens her. Something about his presence left her feeling shaken & vulnerable. As she gets to know him better he doesn’t seem scared off by her cynical, hard attitude. Her world seemed to always be falling apart, & he was so steady and solid. He soothes her with his gentleness & made her feel off balance with one look. -His eyes held some sort of innocence I hadn’t seen before. Gentleness I certainly wasn’t used to. -I was spellbound, caught once again in his gaze. No one has ever looked at me the way Gabriel was right then, not in all my life. -A sense of sudden belonging washed through me, dancing in my veins. When was the last time I’d felt as if I belonged anywhere? -I liked her. I liked the way she looked at me. -She had intrigued me, caught my attention, and hadn’t let go. Something about her… called to me. Gabriel saw things in Ellie she didn’t see in herself. He helped her to believe in herself & brought a sense of peace and calm to her life. He made her feel safe. He pushed her boundaries & eventually she let her guard down. 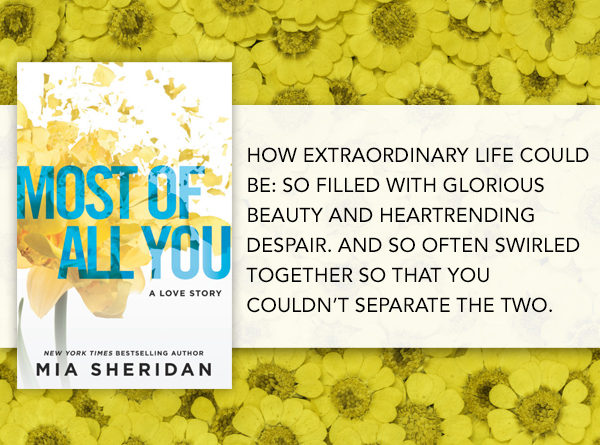 He made her feel like she was someone truly special. Cherished & cared for like she’d never experienced. He began to breathe joy into the sadness that lived inside of her. Made her want to dream of possibilities, & hope for things she’d long ago given up on. She was taught to have a hard exterior, so nobody could ever hurt her. That you don’t get attached, because everyone eventually leaves, but suddenly she realizes she needs Gabriel as much as her next breath. This handsome, sincere, sweet man with a pure heart spoke to her soul, & helped her discover there was beauty in the missing pieces. I really loved this book! 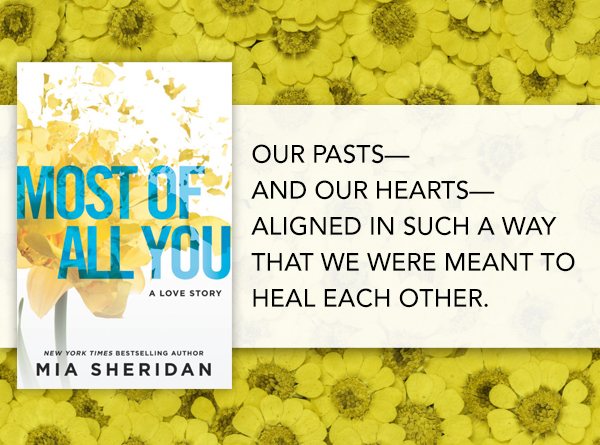 It’s about two people who had a difficult past that has shaped who they are today. They still both carry around broken pieces, & have their own struggles. The book is also about loving & believing in yourself. Sometimes we need to learn to love ourselves before we can fully love another. This book dealt with some serious subject matter but was beautifully written. This stunning man was breathtaking with his love & his pure heart. I couldn’t get enough of Gabe. 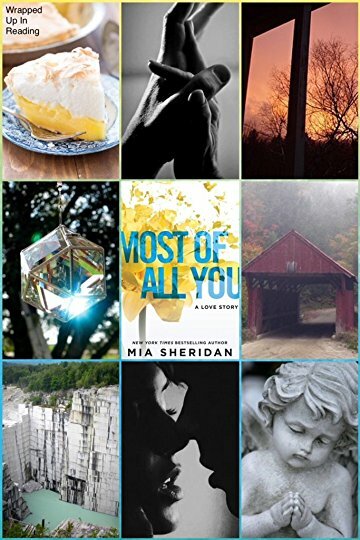 Mia Sheridan yet again wrote a book that touched my heart! -My love for Ellie felt like a breath of life inside of me. -I wanted to touch every part of him, to know his body the way I’d come to know his heart. -The longer she’d touched me, the more a yearning rose in my soul, so strong it took my breath. -Every part of his body held a place that felt as if it had been made just for mine. -He was everything to me. 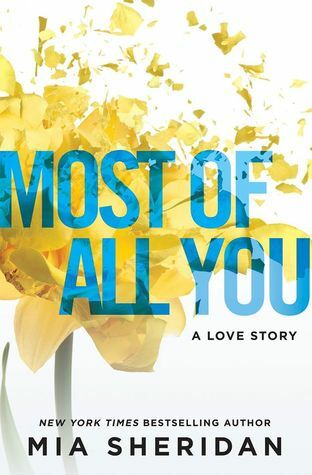 There is definitely incredibly chemistry between Dalton and Ellie but honestly, if there weren’t any steamy scenes, I would still give this book Five Stars because it was the story and the characters that I fell completely in love with. This is one of those books that doesn’t need the schmexy to make it entertaining. Although I did enjoy those bits too!